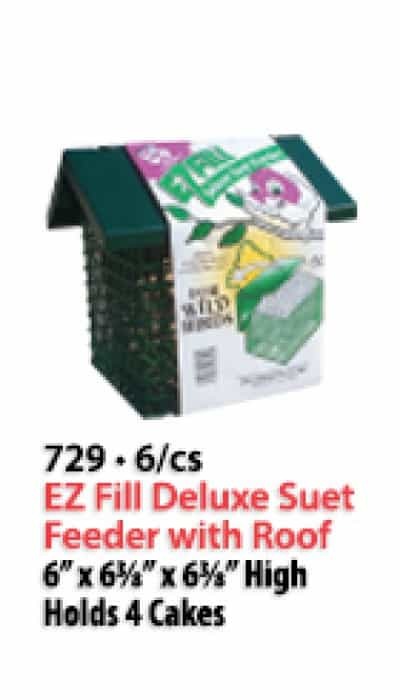 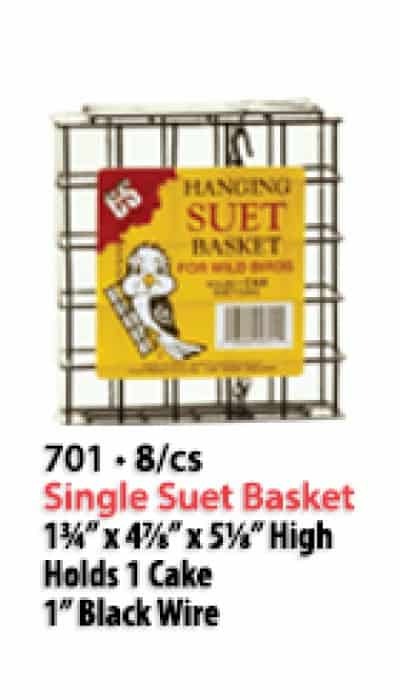 C&S Wild Bird Suet Baskets are a necessary key to successful wild bird feeding. 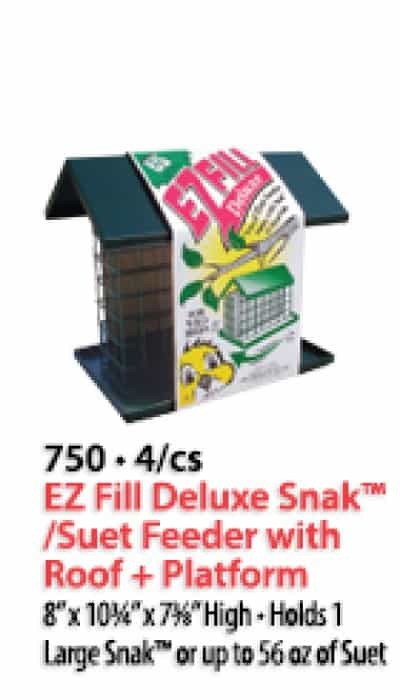 Our vinyl coated wire bird feeders come in a variety of sizes and styles, including our new EZ Fill design. 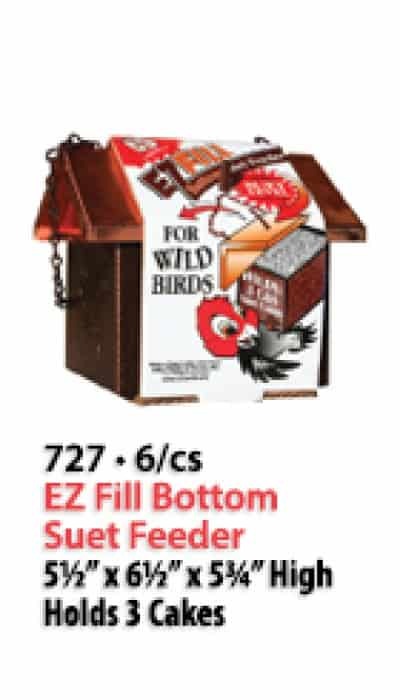 An empty feed basket means happy wild birds! 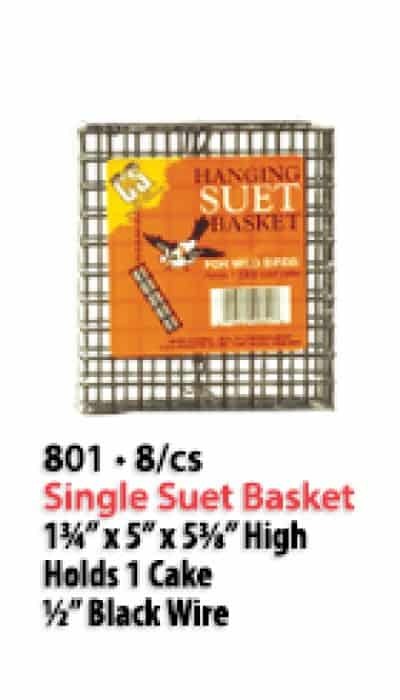 Our feeding baskets are also designed to be easy on wild bird feet with a vinyl coating that insures the feet will not freeze to the basket in winter, and will not burn in summer. 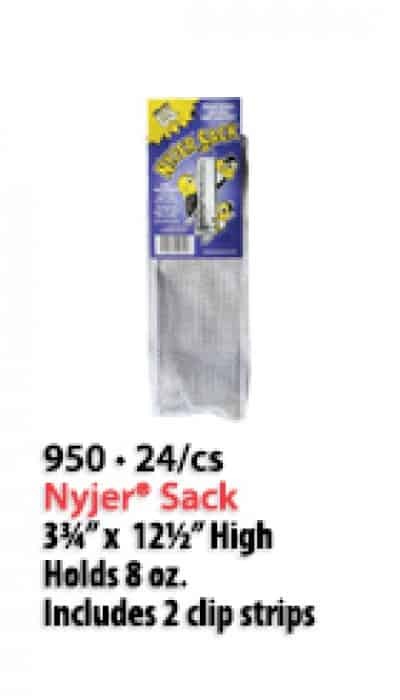 We also provide innovative feeders, such as our patented Thistle Sack specifically designed for Finch feeding. 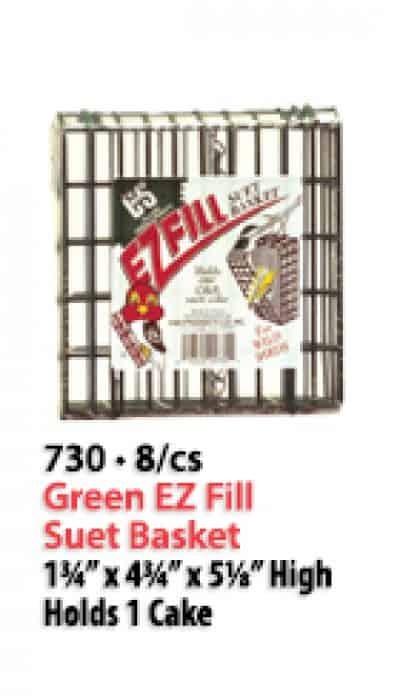 We have baskets for all your suet feeding needs. 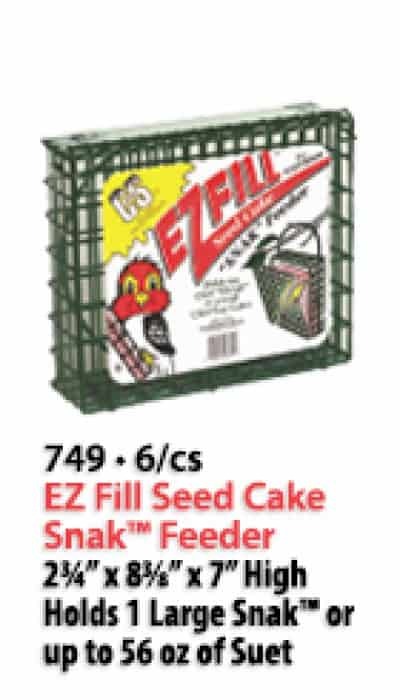 C&S Baskets represent the broadest line of non-seed feeders available in the industry. 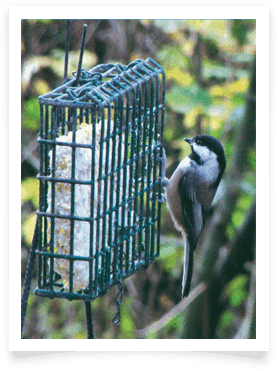 Wild birds love to feed off them and they are easy to fill, use and refill whenever needed. 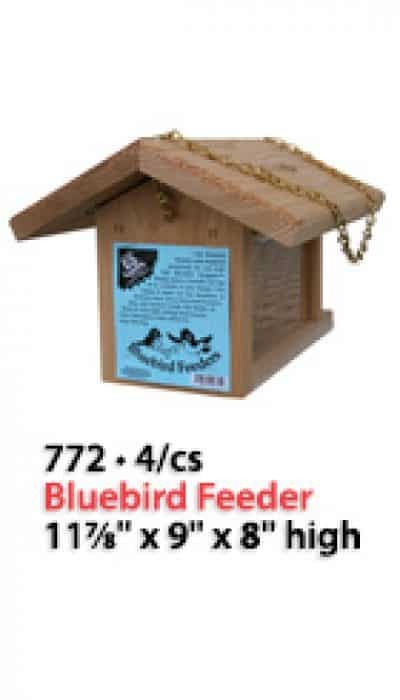 They will provide you and your family hours of enjoyment from watching nature in action. 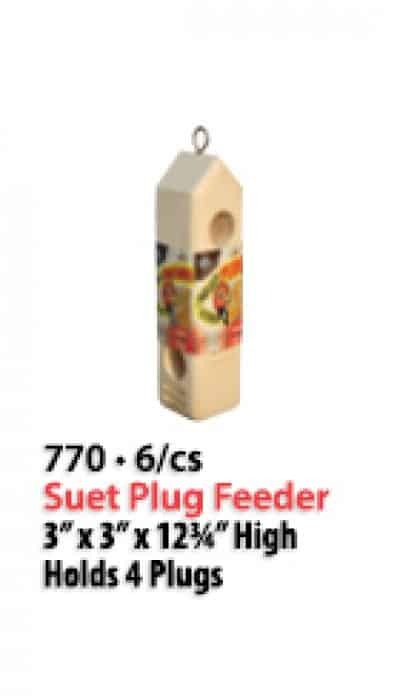 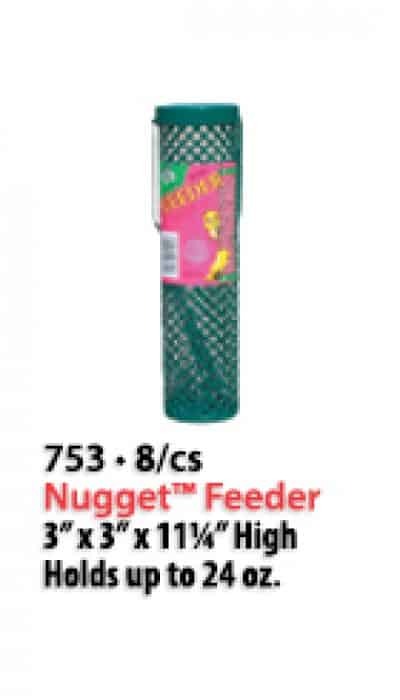 If you wish to have more information about a particular feeder or item, select from the list below and you will be directed to product information about that feeder. 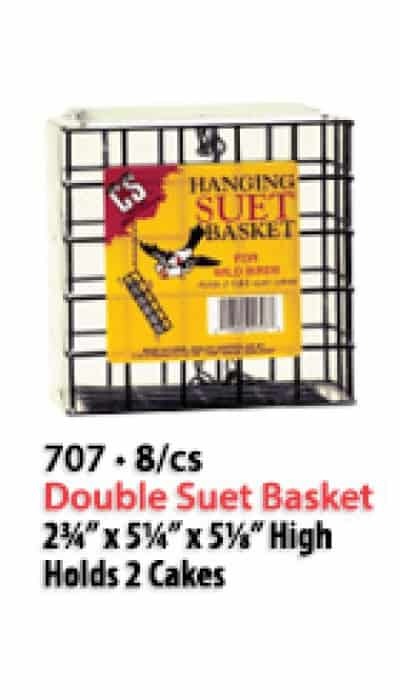 Feeders and baskets are made in China and quality controlled by C&S. 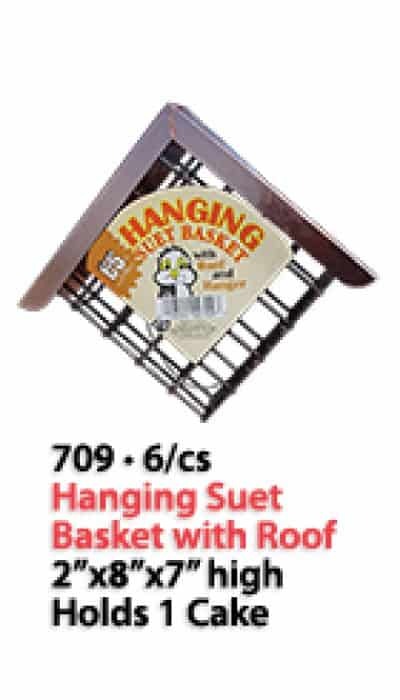 C&S warranties it’s feeder products to be free from manufactures defects when used according to its directions and intended purpose for a period of 90 days from the date of purchase. 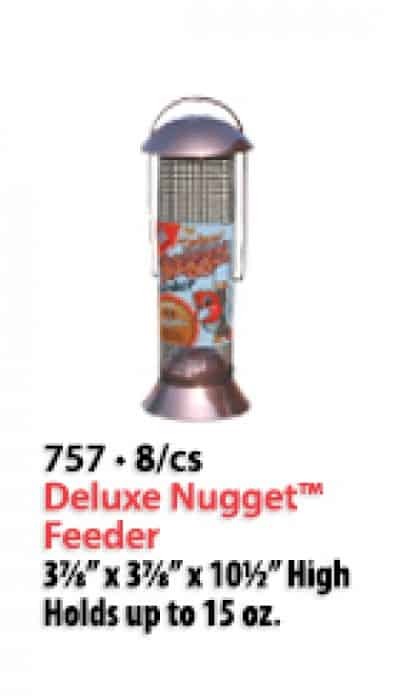 Warranty claims are to be made directly by the consumer to C&S’s Customer Service Department at 1-800-373-2425.